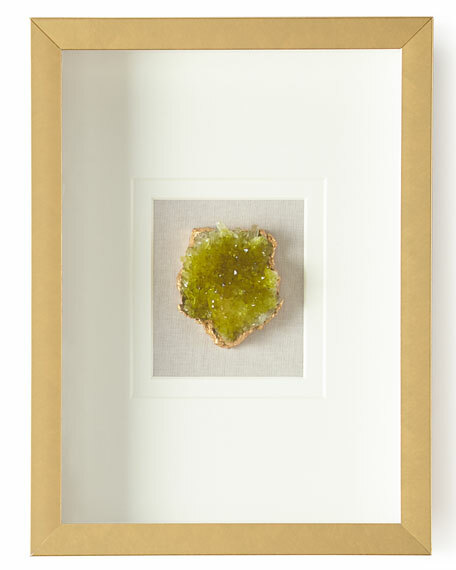 Natural crystal wrapped in gold foil under glass. Double mat; 2 mm thickness. Approx. 12"H x 16"W; 7 lbs. boxed weight. Please note: Each crystal and natural stone will vary in color, size, and shape.